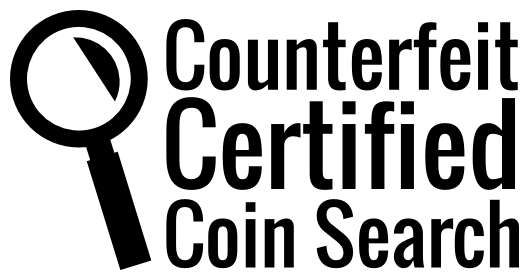 After searching a well-known marketplace website for counterfeits based in China,* roughly 20 well-established stores with large sales volume devoted to counterfeit and replica coins had their American coins listings added to a list of “seed” pages. The seed pages were traversed by a crawling program, written in PHP, pulling all relevant data that was available. The titles for each listing were parsed to try and programmatically determine the year, mint mark, denomination, series, composition, and any other extra information that was available. All of this was subsequently entered into a MySQL database and the following reports were compiled. These numbers do not take into account older or “out of print” counterfeits still circulating, as they only represent counterfeits that are presently being mass-manufactured and offered for sale. Counterfeit bullion eagles (Silver, Gold, and Platinum Eagles) are not included in this data at this time, as these are generally listed among other counterfeit bullion and are more difficult to filter results for. In future software versions there will be ways to get around this limitation. The following are some raw numbers pertaining to the number of counterfeit varieties that are available across the seed store holdings. Our sample of 20 stores yields approximately 11,200 listings, or on average about 560 individual listings per store. These only represent American coinage. Most of these stores had separate sections for Russian, European, and other World coins, leading the actual average of listings per store to be much higher. Morgan dollar varieties are certainly the most popular by a large margin. And we can see this reflected in the denomination count. Any discrepancies between the two tables above has to do with parsing the listing headings for identification data. You’ll notice the large NULL counts on both for where it could not be surmised. This is due to the fact that the data entry on the counterfeiters’ ends were in no ways standard, so we’ll need to take both metrics (series/type and denomination) together to get an idea of what is actually out there. The above report gives a better sense, overall, putting many of the NULL values in context. In future versions of the crawling software, many of the poorer matchings above will be resolved more clearly and correctly with a more sophisticated parser. Other similar examples, such as “indian princess NULL”, &c..
A better means of disambiguating 3CS from 3CN and thereby reducing or eliminating the ambiguous category of 3C. A more comprehensive algorithm for identifying commemorative issues. Multiple item lots are also a confounding factor for numbers as we can see that given the data it seems that 19% of listings were selling more than one coin. Barber half dollars were sold in lots of 3 or 4 by the same date with all mint marks. Some of the other listings, however, may be false positives due to parsing mistakes. For example, the entire categories of buffalo nickels and indian head cents appears to be incorrectly labeled due to confusion with “cents” as plural and “cents” as part of the name. In the next version of this data, multiple lot coins will be addressed in further detail and new parsing algorithms will try and work around this problem. Where the majority of counterfeits still on the market are made of base metal, a significant portion are being made out of properly alloyed silver. These numbers were compiled by looking for the phrase “90%” or “coin silver” in the title and description. Once again we can see that Morgan dollars dominate the silver listings. We again see Morgans as a whole at the top, followed by small cents (specifically Lincolns and Indian Heads). These in turn are followed by “NULL 50C” (which we will have an idea about below) and again followed by other large dollars (Draped Bust & Peace), so this trend towards counterfeiting silver dollars above and beyond is strongly re-enforced. Oddly enough, the 1922 Peace Dollar — a common date silver dollar — appears at the top of the list of individual sales indices followed by numismatic rarities. This in turn is followed by, perhaps the most counterfeited coin in history, the 1909-S VDB Lincoln Wheat Cent (of which 99% of the 1909-S listings represents, including some in fake PCGS slabs). In the third slot, we see “1925 NULL 50C” which is solely made up of the 1925 Stone Mountain Half Dollar Commemorative (which was a surprise). The long tail of the distribution (not shown) is mostly made up of common date silver dollars and represents about half of all sales. From these prices, it is arguable that silver and slabbed counterfeits are offered at a price point meant to be resold unscrupulously. Overall we are seeing a thriving market for mass-produced American counterfeits out of China that consist of nearly equal numbers of common date silver dollars and numismatic rarities. As evident in the sample, when taking into account differing standards of living, levels of sales are lucrative enough to maintain a strong industry. If something is not done to stem this growing trend of easily-accessible counterfeits, there will only be more difficulty ahead for the hobby as a whole. * = The data used in this report comes from AliExpress.